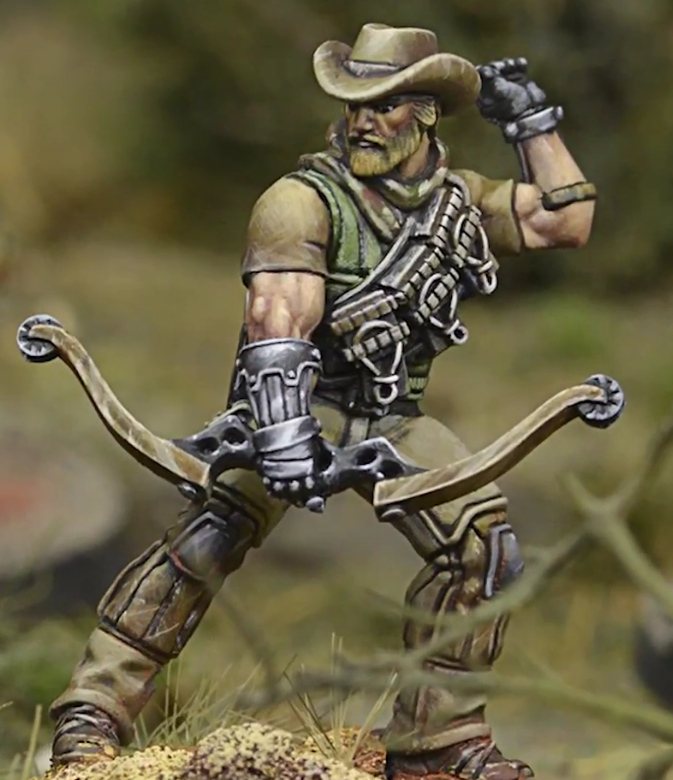 This is the upcoming “Frontiersman” mini for the sci-fi skirmish game Infinity. Normally the majority of their figures are pretty anime focused, although I do have one or two I want to buy that would be a good fit for Dinosaur Cowboys. It’s hard to actually find them in stores though. Either way this Frontiersman would make the perfect Duster with his cool Laserbow and sidearm pistol. 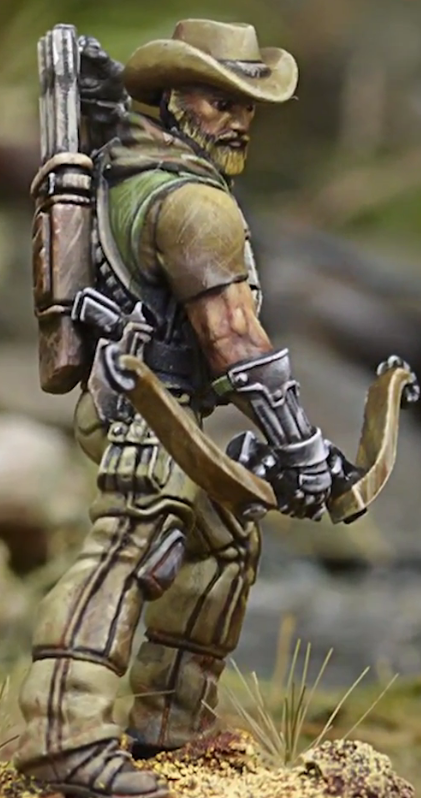 He could maybe even pull off a tougher Neotechnoist, since the gauntlets could be painted to look fancier. All in all pretty awesome, I like the dynamic pose as he aims for a Terror dinosaur. These pictures are from this Miniwargaming Youtube video.